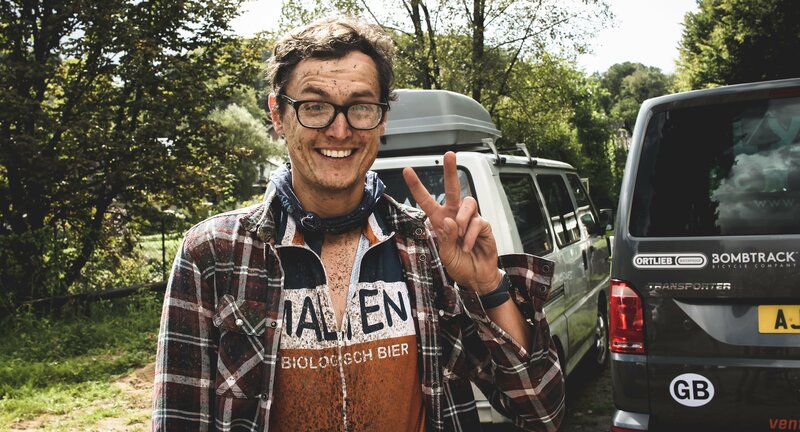 Along with his gang, the Malteni Gravel Bootleggers, Clem is also responsible for organising a 270km ultra-cyclocross that starts and finishes at the Brunehaut brewery in Rongy, Belgium. A regular competitor at Gogo Hellcross and the Singlespeed CX European Championships, he’s now ridden the Three Peaks six times and plans to be back for a seventh attempt in 2019. >> The Yorkshire Dales National Park is in northern England. It encompasses thousands of square miles of moors, valleys, hills and villages. Southeast, on the River Wharfe, the Bolton Abbey Estate includes the ruins of a 12th-century monastery. Malham Village features a towering cliff, and a footpath leading to Gordale Scar, a limestone ravine with waterfalls. A 5-arched bridge crosses the river at Burnsall Village. Climbing the eponymous summits of Ingleborough, Whernside, and Pen-y-Ghent, some of these are so steep even the winner will struggle to jog up. Often beset by bleak weather the event is inseparable from the beautiful yet harsh landscape of the Yorkshire Dales. Scrabbling up misty summits or racing downwards beside the epic Ribblehead Viaduct, the conditions and terrain are as responsible for the character of the race as the attitude of its hundreds of competitors. With gradients so severe that those taking part will need the skills of a fell runner, as well as the talents of a bike racer, only standard issue cyclocross bikes using drop handlebars and thin tyres are allowed. Normally closed to riders, the route is opened just once a year for an event that’s remained largely unchanged over the course of its long existence.